We love hearing success stories from our Associates regarding their USANA business after all USANA is in the business of people and our Associates are the lifeline of our business. 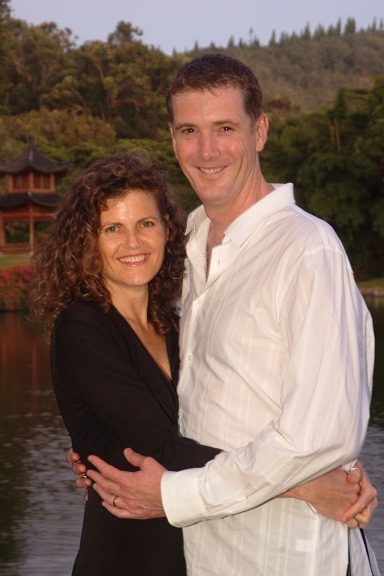 Chris Folland and Fiona Jamieson-Folland in New Zealand, 2 STAR Diamond Directors, took up a challenge in 2010 to sponsor 16 Associates in 16 weeks! Here is Chris’ story in his own words. One way to think of personal sponsorship is that it’s the life blood for growing your business. So we accepted Gill Stapleton’s sponsorship challenge, back in September 2010, and set a goal – to sponsor 16 Associates in 16 weeks! Then, interestingly, the challenges appeared. We seemed to have less people to talk to about USANA, and we moved offices – twice! We had phone & internet glitches, many of our prospects said no; over and over again. Surely we had enough logical, ‘legitimate’ reasons to give up and everyone would think it was OK. However, we realized it wouldn’t be okay with us. We chose to complete our goal because we said we would. We realised it made more sense to show our team, rather than tell them, that they can reach their targets too. Success was definitely testing us and we stepped up and decided to pass! So, re-focusing on how USANA has and is helping us, and how it has the potential to help others – our enthusiasm increased and we doubled our prospecting efforts. WOOHOO! What a feeling - we hit our target! And this just shows us that you can too. When you decide to stay focused on your business and share the gift of time, money and health with someone new every day, success is guaranteed to come your way! We hope this story inspires you to take up your own USANA business challenge and succeed in meeting and exceeding your own expectations. Share Dr Myron Wentz’s health and wealth vision with someone new every day and watch your dreams turn into reality.